Otters are known to hold hands to keep themselves from drifting apart, and are symbols of friendship and unity. Side by side, they have the strength to float on through anything that comes their way. 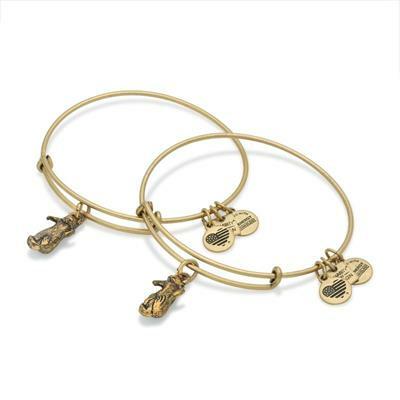 The charm sits on Alex and Ani's Expandable Wire Bangle. PACKAGING: This Alex and Ani set comes packaged in an Alex and Ani box.